Notwithstanding some reports that companies are doing away with holiday parties altogether, if you do choose to hold one, the Society of Human Resource Management has some great suggestions of what to include in a party memo to send out to your employees BEFORE the party to help ensure everyone has a good time [and that you or your HR team are not dealing with the aftermath..]. Alcohol – It should go without saying that employees should drink responsibly if alcoholic beverages will be served at the party, but that is not always the case. A system should be implemented to prevent employees from consuming too many alcoholic beverages, such as having someone in charge pass out an allotted amount of drink tickets with employees’ names printed on them. This will help employees limit the amount of drinks they consume and employees cannot give them away to others if they choose not to use them. There should also be a cut-off period where alcohol will no longer be served about an hour before the party ends but make sure that there will be non-alcoholic beverages still available. Make sure to have professional bartenders serve beverages at the party instead of burdening an employee with the risk. 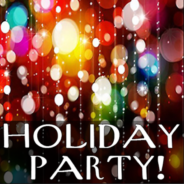 Apparel – Make sure to have a set dress code for the party so employees know ahead of time what they can wear and set what will be considered inappropriate attire at the event. Behavior – Communicate with employees that although they are not at work, their behaviors should still conform to what is acceptable in the workplace. This includes using language that would be appropriate for the workplace as well. Gift giving – If gifts will be exchanged at the party, make sure to have a price limit on gifts and that gifts should not be obscene, offensive or of a sexually explicit nature. Impaired driving – To avoid employees driving after consuming alcohol, have your company make arrangements with Uber, Lyft, or a taxi firm to be available to transport employees who do not have a designated driver to get home safety. Smoking – Have a rule in place on smoking at the event, whether it prohibits it completely from the event or make sure there is a designated area for employees to go. These are just a few items to communicate to your employees in a Holiday Party memo to help prevent any confusion or mishaps. Need more help? Contact us for other helpful resources.